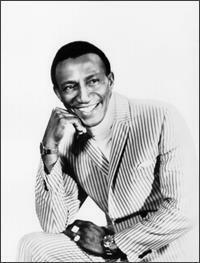 This record (the flip side of "Rock Pretty Baby") was first released on Cosimo Matassa's fledgling REX label in 1958. 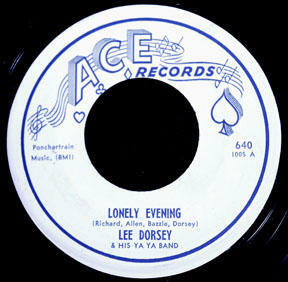 When "Ya-Ya" hit in 1961, Johnny Vincent apparently saw his chance to cash in and put it out on ACE soon afterward - going so far as to change the name of the artist to "Lee Dorsey & His Ya-Ya Band"! This particular tune, from body & fender man Dorsey's first recording session, features the legendary J&M Studio house band and is just drippin' with that good ol' Nawlins R&B sound! Writing credit is shared with Reynaud Richard, a local record producer and talent scout who heard Lee singing from underneath a car in his shop and convinced him to come down and record these sides the very same night. While most of Dorsey's later work with Allen Toussaint has been well documented on CD, here's a classic that kinda fell through the cracks! This is one of the best audio sites around. Great records, great graphics, and excellent historical background on the artists and b-sides. Way to go. Look forward to coming back for your next selection.